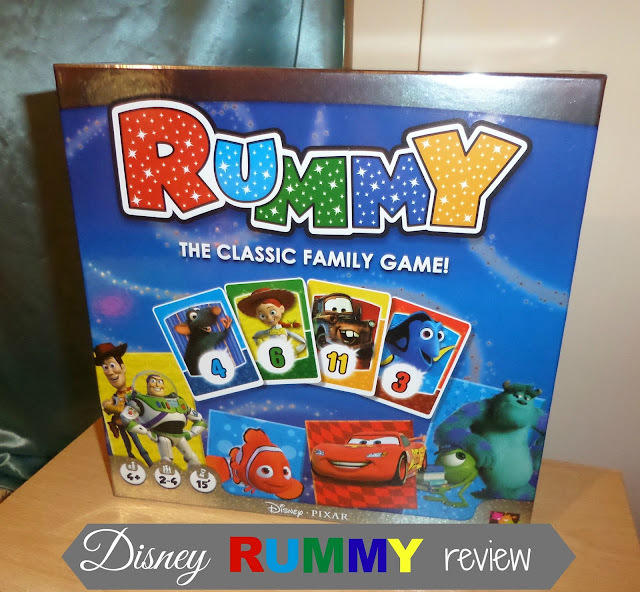 Where Roots And Wings Entwine: Disney Rummy - Esdevium Games review. 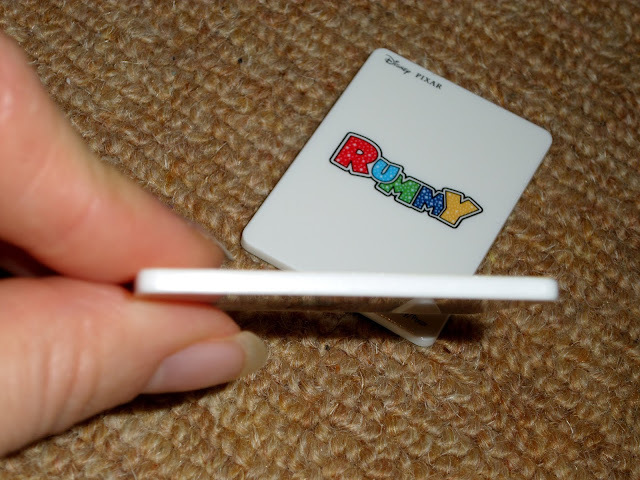 Disney Rummy - Esdevium Games review. 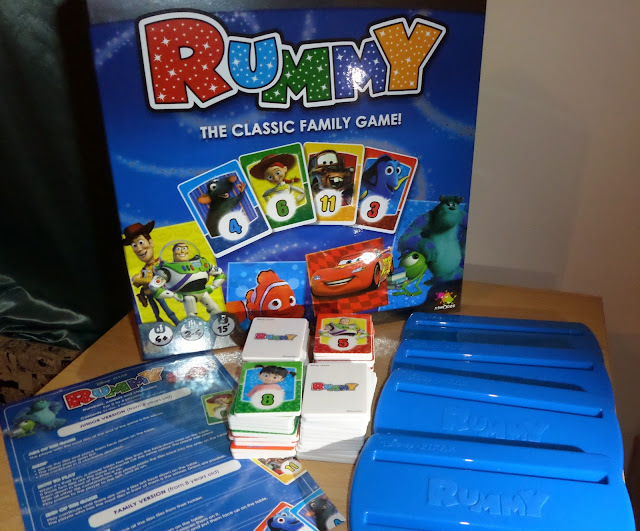 As we love Disney and love games, when Esdevium Games sent us Disney Rummy it sounded like the game for us. 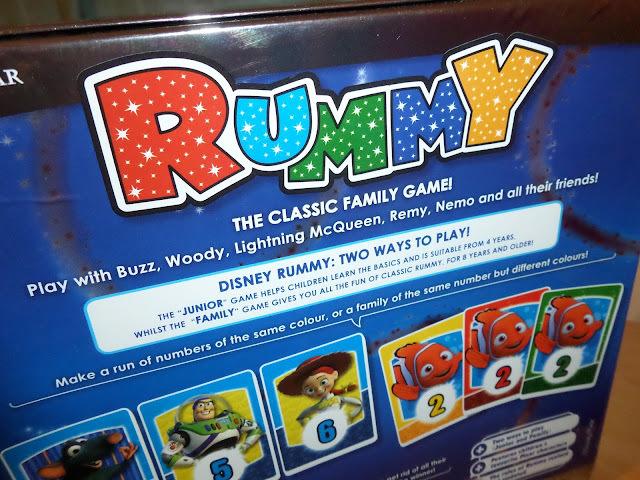 Based on the classic family game of rummy, Disney Rummy is a fun and simple game the whole family can enjoy. 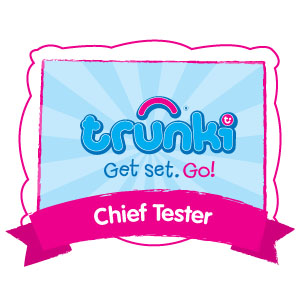 The game is aimed at little ones aged 4+ years and is designed to be played with 2 to 4 players. 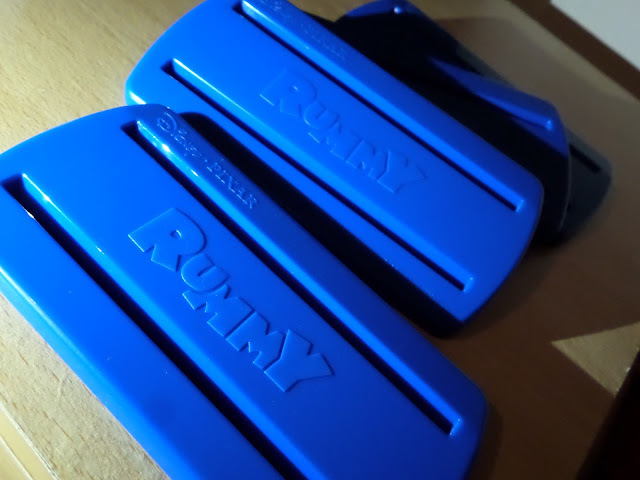 It comes with 4 blue tile-holders, 52 tiles and handy instructions. The tiles are well made, with the print and design being of high quality. 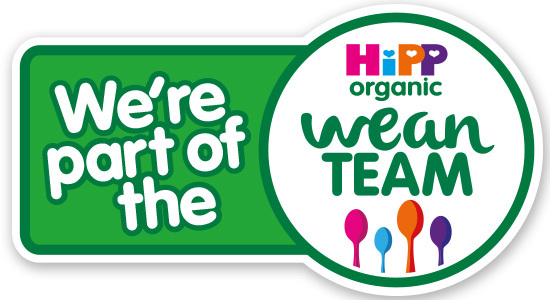 They are a great size for little hands to hold and as they are made from plastic rather than card they are durable and able to withstand lots of play. The tiles are emblazoned with well-known and loved Disney characters from films including Monsters Inc., Cars, Toy Story, Ratatouille, Inside Out and Finding Nemo, who are beautifully illustrated in great colour and detail. This version is a simple yet fun game where children place all the tiles face-down. Taking it in turns children flip over 2 tiles looking to match 2 tiles with the same character or colour to win the pair. 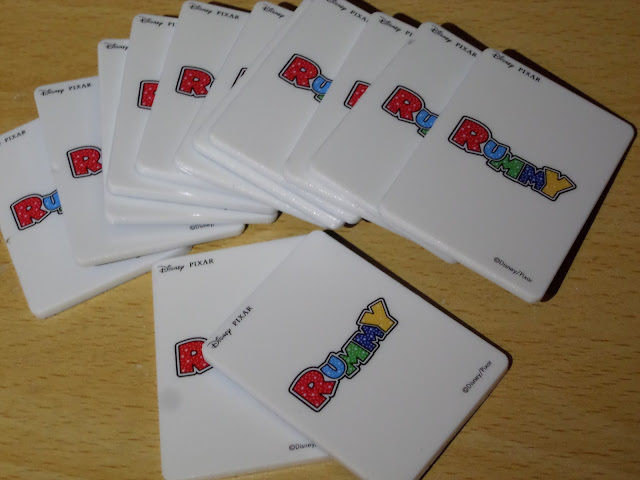 The player with the most tiles at the end of the game is the winner. 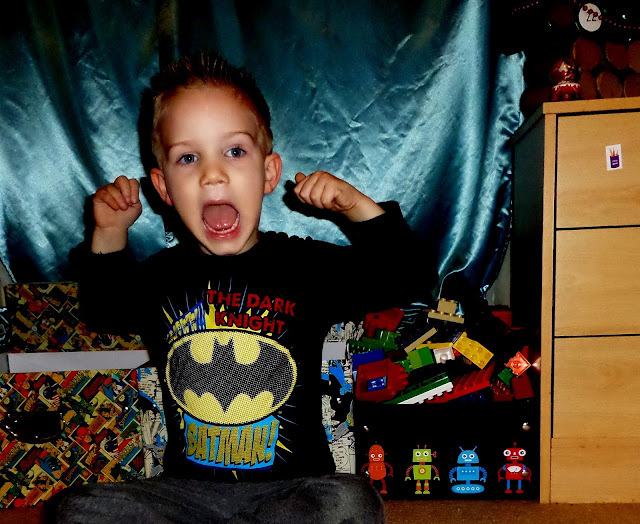 Bug at 4 years has had no problem playing this version of the game and has thoroughly enjoyed playing it. 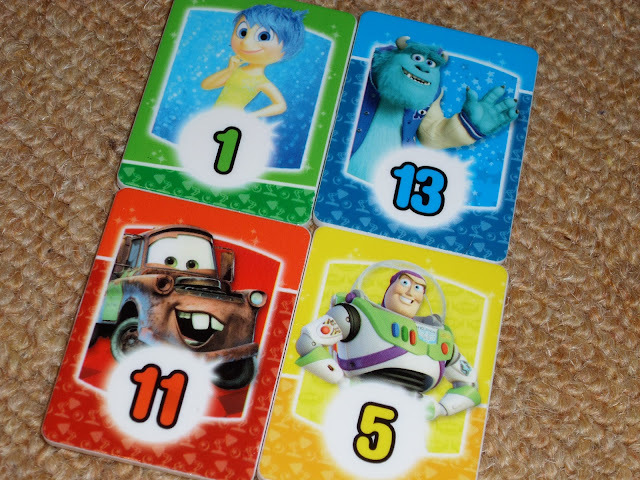 Bug especially love playing the game as the tiles feature a number of his favourite characters. 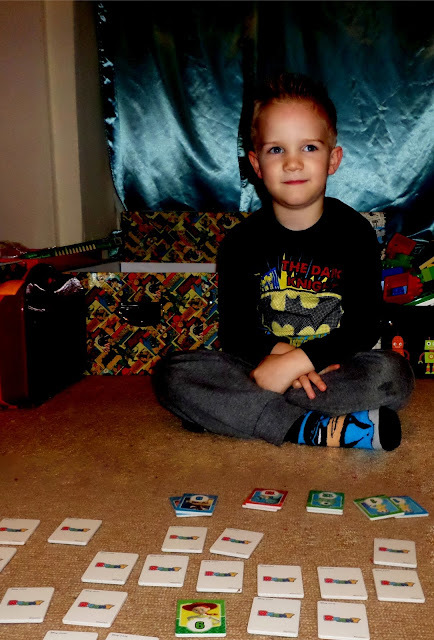 I love that this game is great for improving Bug’s memory and observation skills, as well as reinforcing the lesson of turn-taking and patience. 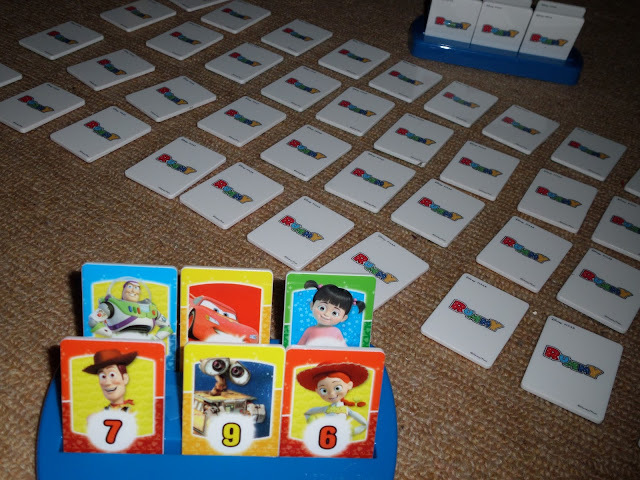 To play this version place the tiles face down on the table, each player gets 6 tiles which they place in their tile-holder, then 4 four tiles are selected at random and turned face up. 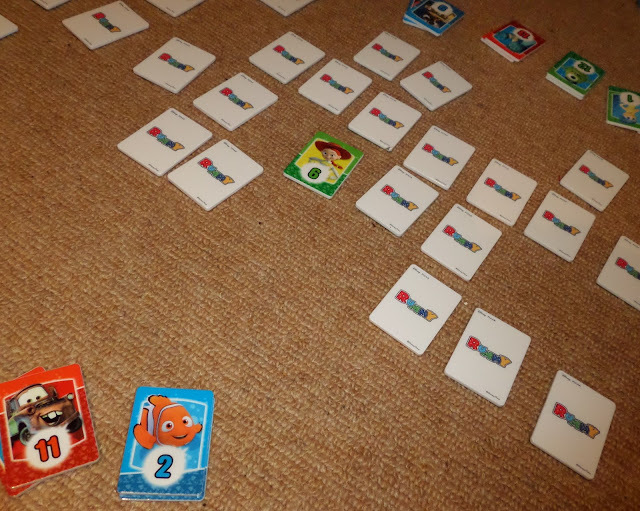 Then players take it in turns to try to make runs or families in order to get rid of all of their tiles, with the winner being the first to get rid of all of their tiles. 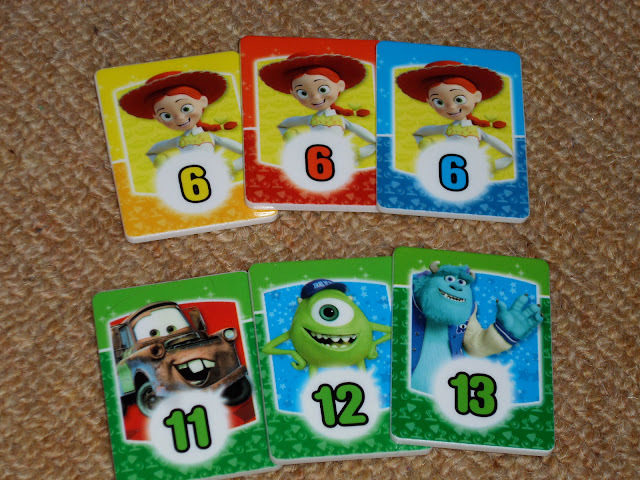 To make a run a player would need to have a set of tiles of the same colour where the numbers follow in numerical order, e.g. 4,5,6. To make a family a player would need the same characters on the tiles, e.g. all tiles having Buzz Lightyear from Toy Story on them. 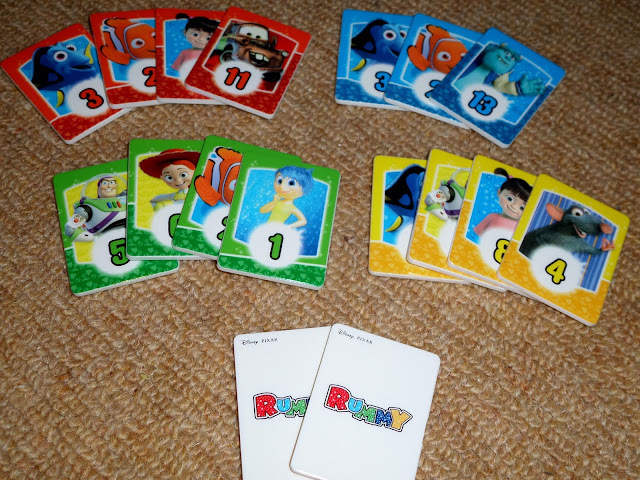 As the ‘family’ version of the game is aimed at children aged 8+ years it is a little advanced for Bug but it will be a game that he will grow into for a quick, easy, fun game to play. 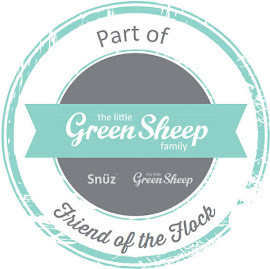 I love that this game can be played in 2 ways making it great for children of all ages and a game that children will grow into as they progress from mastering the Junior game to understanding the older ‘Family’ game. 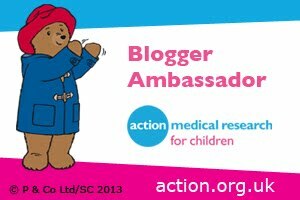 I love that thanks to the tile design and well-known and much loved characters this game has been made accessible and appealing for young children. Plus as Bug loves it I love it. Esdevium Games are available from gaming stores which can be found using their store locator tool.